Celebrate with our Unicorn Wall Display for Unicorn Themed Birthday Party, Bridal or Baby Shower. 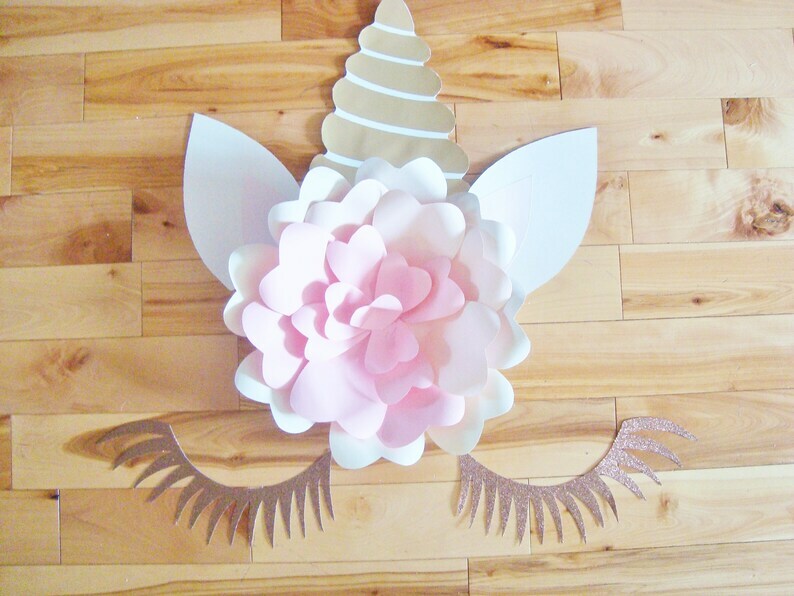 Paper Flower Unicorn backdrops are perfect to decorate your Baby Nursery or little girls room. You can hang using Wall Adhesive Strips (Command strips are great brand) or you can attach the set to a 20 by 30 inch foam board using hot glue.